The Arsenic encourages adults to discover the shows aimed at adults accompanied by children (aged 8 and up). Except for shows specifically aimed at children, admission is free for children between 8 and 12 years old (must be accompanied by an adult). Recommended shows are marked with the pictogram ☺. On certain Sundays, a free child care service (for ages 4 and up) is offered and facilitated by Hélène Bahon, early childhood educator. These spaces are designed as playful moments for your little ones. The child care opens 15 minutes before shows marked with the pictogram. The Collectif (c)ouverture is an independent collective founded by young art enthusiasts who, from time to time, propose meetups after the shows to allow audience members to talk about what they have just seen. 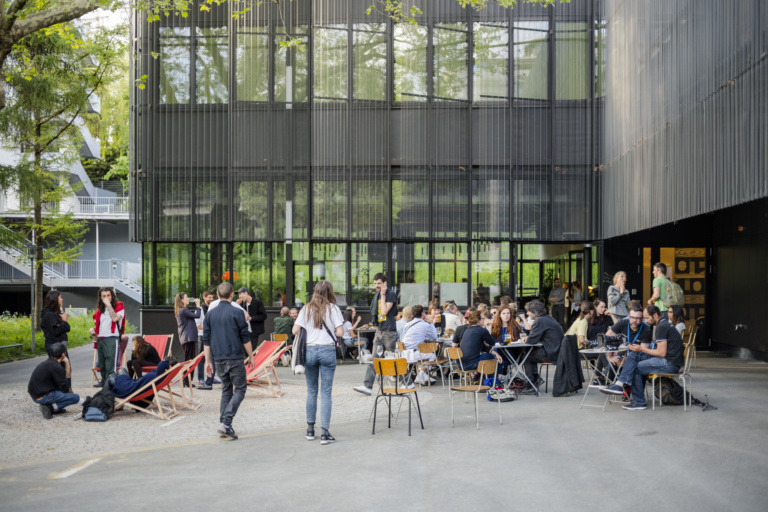 These freeform discussions, open to all and sometimes in the presence of the artists, will take place in the café around 15 minutes after the end of the shows marked as such.